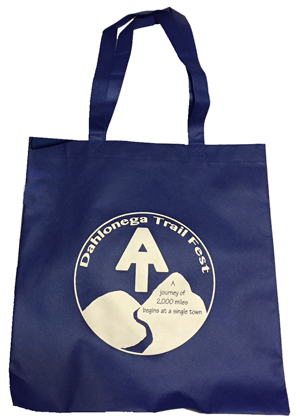 Come by the Trail Fest booth to purchase these great Trail Fest items! Special Trail Fest sale price of 20% off regular price of $23. White Box is an excellent alcohol burner that is heavier duty than many, but still weighs only 1 oz. Limited supply! Come by the Trail Fest booth for a demonstration of the White Box Stove with a Clikstand. 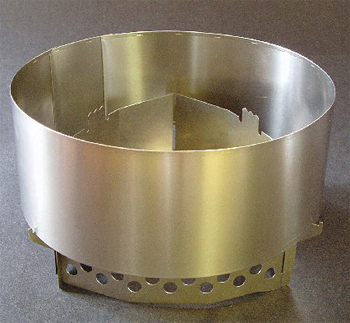 Buy a White Box Stove and a Clikstand together and receive an additional $5 off! We have a limited number of the Stainless Steel Clikstands for $40, 20% off the regular price of $51.95. It weighs only 4.6 oz and will fold to fit in a pocket. 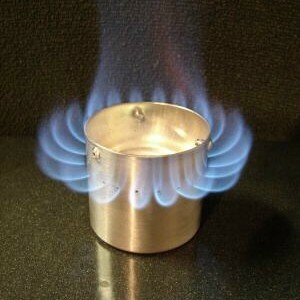 Come by the Trail Fest booth for a demonstration of the Clikstand with a White Box Alcohol Stove. Buy a Clikstand and a White Box Stove together and receive an additional $5 off! Dark and Milk Chocolate bars from Paul Thomas Chocolates. Paul Thomas is a master chocolatier and these are special! Paul Thomas Chocolates is located on the Dahlonega Square. 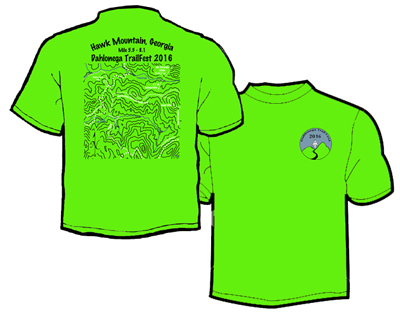 2016 Trail Fest T Shirts are printed on moisture wicking shirts. Each year's shirt will feature a section of the Appalachian Trail in Georgia. The 2016 shirt features Miles 5.3 to 8.1 in the Hawk Mountain area. Collect them all and have a complete map of the AT in Georgia! 2015 Trail Fest T Shirts are printed on moisture wicking shirts. 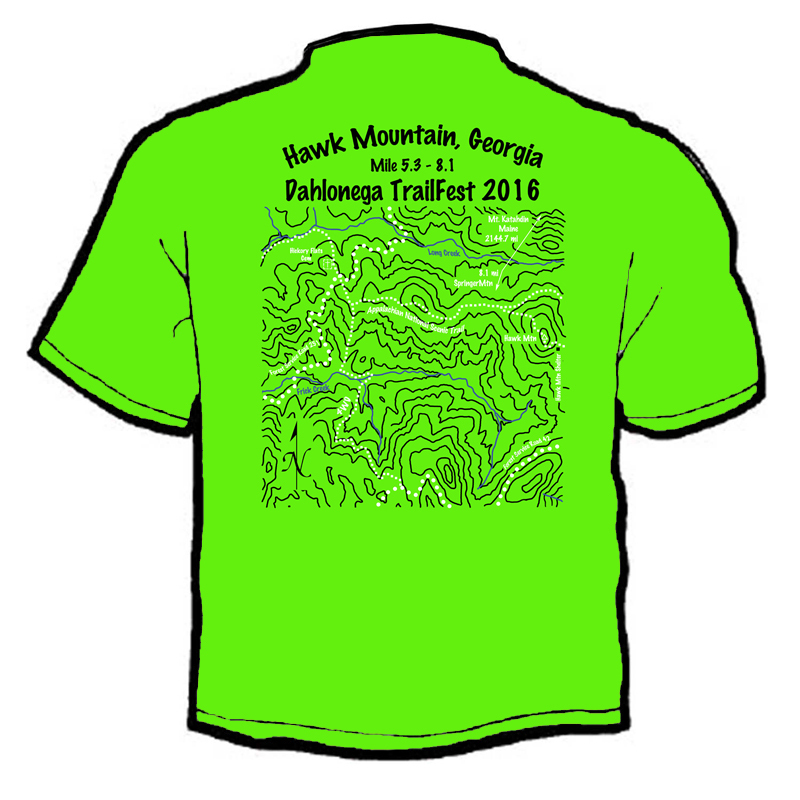 Each year's shirt will feature a section of the Appalachian Trail in Georgia. 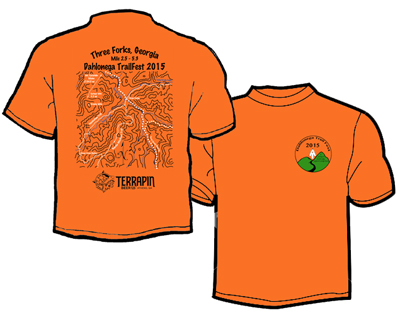 The 2015 shirt features Miles 2.5 to 5.3 in the Three Forks area. 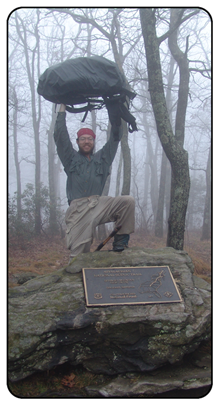 Collect them all and have a complete map of the AT in Georgia! This handy tote bag is made of non-woven polypropylene for extra durability. Features stitched seams, a hemmed opening and reinforced handle stitching. The 22" handles ensure convenient carrying comfort. 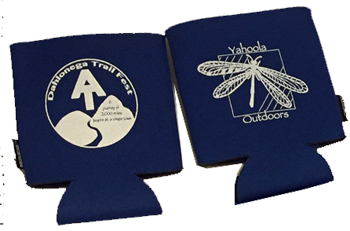 Collapsible KOOZIE® can cooler folds so quickly, you can put it in your pocket, purse and more. Heavy-duty polyester with foam liner keeps beverages cooler longer. With its single-wall aluminum construction, this reusable printed bottle is a winner for cold drinks and a great alternative to disposable bottles. 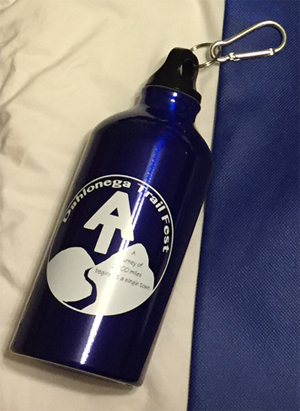 Screw-on lid with metal carabiner clip makes this imprinted bottle portable in a variety of settings. Larger capacity and lightweight construction are just right for longer treks where water isn't readily available. 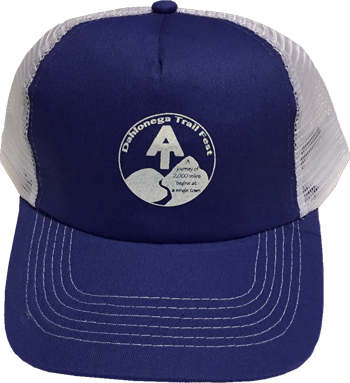 The cotton twill material and mesh back make this a great ventilated cap for those hot, active days. The adjustable cloth strap at the back of the cap has a hook and loop closure which allows for the most comfortable fit.